Malaysia’s handling of the disappearance of flight MH370 has disgruntled China, and Malaysian celebrities are also facing a possible threat on their careers in mainland China. On March 24, the Malaysian government announced that Malaysia Airlines flight MH370 had crashed into the Indian Ocean, killing everyone on board. Since 153 of the 239 people on board were Chinese citizens, many Chinese celebrities took to Weibo to express their discontentment at the Malaysian government, criticizing it for being irresponsible and incompetent. 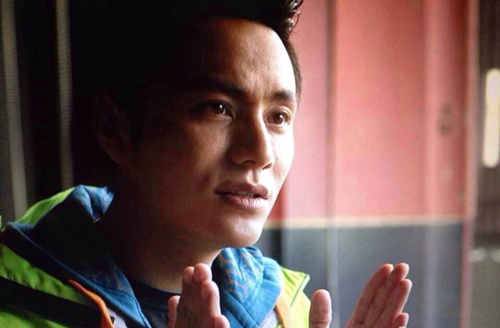 Chen Kun (陳坤), who has over 72 million followers on his Weibo, expressed his utter disappointment at the Malaysian government and Malaysia Airlines on his Weibo, proclaiming that he will boycott Malaysian products and tourism indefinitely. Chen Kun recently attended a public event in Shanghai and was asked to speak about the comment he made on boycotting the Malaysian government on March 25. Chen Kun stressed that his comment was not meant to be inflammatory, pointing out that he was only expressing his anger and disgruntlement. Chen Kun/victims (regardless China Chinese or Malaysians) has the right to say all he wants on the internet and the same goes to others whereby they have the rights to say what they want about him/them. As simple as that. What is the point of getting so worked up over his comment (referring to this post)? He will not thank you for standing up to him nor will he ever bother to read the criticisms directed to him anyway. Do you part as an individual to continue praying sincerely for the quick recovery of whatever that’s left or if you have the way, join the SAR mission. Or else, don’t waste your time on this. Your time is better spent on productive things that you like. Feel bad for yourself Mockinggenius aka Connieta, cause you and her are the same person. It’s a terrible situation, but I wonder if there aren’t other goals behind the protests of the chinese in Malaysia. The waving of the Chinese flag was a bit too much. I also find the fact they are protesting in Malaysia kind of interesting… as you have to wonder what would happen to these families if they were to show up at the local Chinese government hall and started to protest in the same manner. Well like many countries there are good and bad. Just accept it. Move on. Just don’t be narrow minded idiots and be more considerate to one another. Why take 4 weeks to correct something? “all right good night” and “Good night Malaysian three seven zero” are going to sound very different no matter in what language. The hell are these Malaysians hiding? and what’s up with all the searches not finding anything for almost a week? yet they said credible leads..? Someone doesn’t want this plane to be found and managed to get all the nations to search all over the ocean wasting time. it’s in someone’s country right now, you need to allocate your satellite resources to one of those Middle Eastern countries, the plane is there! It sounds like you have detailed info that nobody seems to have, or appear to have so far. Care to share? It might help in the search. I do not expect this comment to be posted. If it does see the light of day I just want to make a few points. I apologise that this posting is not related to the above topic. 1) I have been accused of posting under different names. I have only posted comments on this website under MOCKINGGENIUS. 2) Those different names are people who submitted comments which agree or give support to what I said. 3) I have asked the person who said she/he has a hunch that I am guilty to check all IP addresses of the suspected parties. If I am found to be innocent I expect an apology. (Anyone who is interested can see my request posted 15 mins ago under Zhang Ziyi article. 4) On 4/1 early morning (my time zone) 2 comments were addressed to me in this article. They were vulgar, threatening, calling me a slave, asked me to do various things which I will not repeat here. The comments were eventually deleted by the moderator of this site after 20 mins. I regret that such comments were actually permitted in the first place. 4) This will be my last posting on this site. The only thing I enjoyed about this tragedy is the drama surrounding it. The conspiracy theories floating around, dramatic flairs from the PRCs, incapacity of the Malaysian government in execution adding on the mystery of the vanished plane; all these elements feed well to the hungry media to aggravate the situation.